It’s no secret that the oil and gas industry faces a looming labor shortage. The consulting firm FMI has released a new white paper on the subject, titled “Skills Shortages in a Booming Market — The Big Oil and Gas Challenge.” The report discusses market trends within the oil and gas industry, including a geographic pull on skilled labor and actions being taken to address the inevitable labor shortage. To keep up with the dynamic and competitive business environment, according to the report, U.S. energy infrastructure construction firms need to develop a robust talent pipeline to confront the labor challenges. The full report is available online at www.fminet.com. 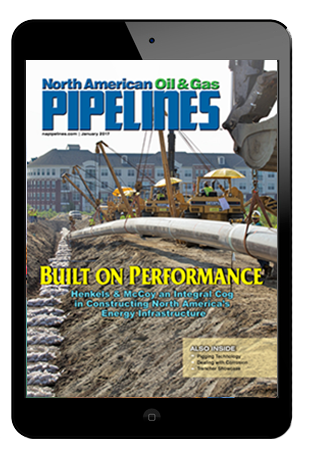 Be sure to check out the March issue of North American Oil & Gas Pipelines for an in-depth look at training and recruitment efforts to bring new workers to the pipeline industry.